imparted to the children. 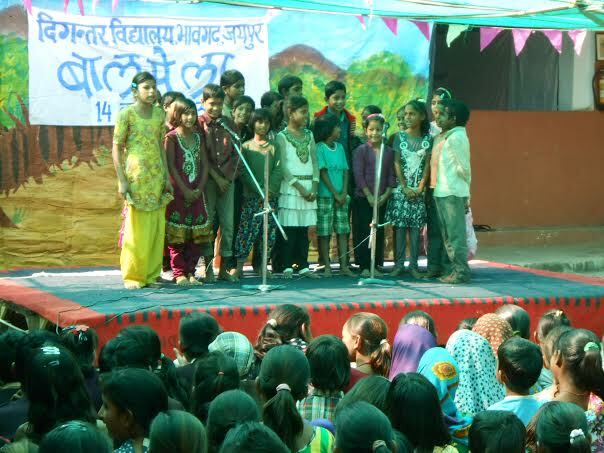 Believing that the objective of education should be the development of rational, autonomous, sensitive and, democratic values, along with helping a person’s abilities blossom into something concrete, Digantar was established with the belief that the purpose of primary education is to make a child self-reliant and a motivated learner. 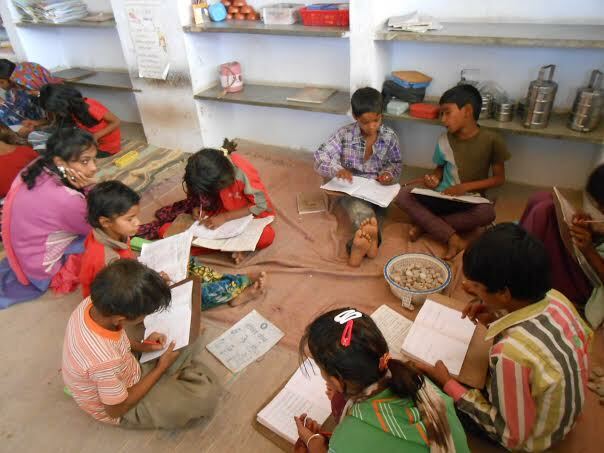 Digantar was initially funded privately by a local business family (John and Faith Singh of Anokhi Pvt Ltd), who were not very satisfied with the present educational scenario and wanted a more “real” approach towards education for their three children. They wanted a school where the children could learn at their own pace and where education would mean education in its true sense, rather than just a process that one goes through in life in order to obtain a few degrees. The couple came across a unique school in rural Karnataka, run by an avant-garde British educationist David Horsburgh. Neel Bagh, the school run by David, was exactly what the couple had been looking for except for a slight glitch. The school took in only local children. Horsburgh proposed to train the teachers if the couple wished to start a school of their own. Digantar was conceived then. Its name was coined by its two teachers, Rohit Dhankar and Reena Das, who trained under David Horsburgh and started this venture in alternative education. For a decade, this school functioned with the help of the financial aid provided by the couple. The school by this time had about 24 children consisting of various age groups. By 1986, all three children of the couple had passed the tenth standard exams and had gone to England for further education. During these 10 years, the teachers got ample opportunity to understand and study the principles and the practical aspects of primary education. Along with working in the school, they strived hard to understand the meaning of education and its relevance in the society. This effort initiated dialogues with a number of people and organizations that were also working in the field of education. Gradually, inculcated in the founding ideas of the school, a more wholesome approach to primary education started taking shape. In 1986, a group unofficially associated with Digantar felt the need to establish the school in a rural area so that the children deprived of quality education could benefit. 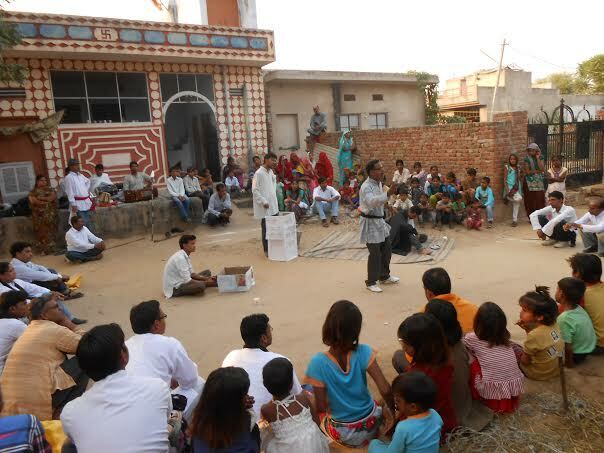 After comprehensive planning, Digantar took the shape of an organization and got registered under the name of Digantar Shiksha Evam Khel Kud Samiti in 1988. The villages and hamlets in the south-eastern corner of Jaipur were chosen as the area of functioning. 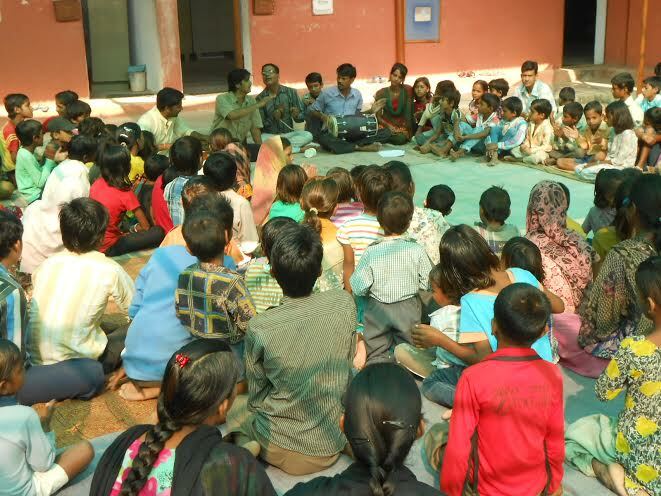 Today, Digantar has about 550 children studying in two schools located at Bhawgarh Bandhya and Ratwali. Apart from the schools, Digantar has The Academic Resource Unit (TARU). The aim of TARU is to understand the objectives of education, along with exploring new lines of thought and contributing to the academic scenario. Its area of work has been quite vast including reflections on numerous fundamental issues, academic research, teacher training, academic workshops, developing teaching material etc. Another segment of Digantar is The Support and Resource unit (TSRU). TSRU provides a strong foundation for all the projects and programs of Digantar ensuring that all the members of the organization get to work smoothly. By providing administrative and managerial support, TSRU makes sure that the functioning of the various programs takes place without any hitch. It is no secret that today’s education system is career-oriented and is seen as a battle-field where only the “fittest” survive. Education no longer means imparting knowledge or developing a perspective towards the world with the purpose of evolving as a good human being. Over the past few decades, education has been considered an obligation, a meager ticket to a golden future ensuring well-paid jobs. Establishing a school where the children come to get educated without bringing along the baggage of competition, the pressure to score well in exams, and the fear of failure is not possible if the current educational structure and system persist. Hence, Digantar believes in an alternative approach to education. Digantar has been working relentlessly towards finding better alternatives at the primary level that would improve the quality of education. Since its commencement, Digantar has been an advocate for providing equal opportunity to all the children for quality education and it has been practicing the same as well. 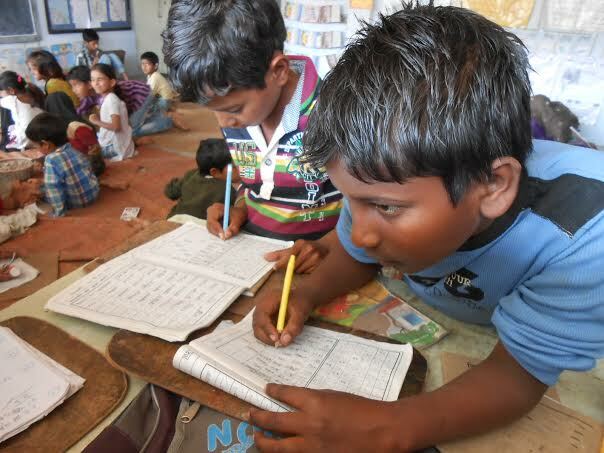 In Digantar schools, children have the freedom to learn at their own pace. Each child is unique and has a set of his/her own experiences, interests, and abilities. Hence, the children in Digantar schools are not distributed according to their age but are distributed according to their level of learning. There are no traditional classes in our schools as per which children are segregated. We have different groups consisting children of vertical age groups. The teachers are trained so that they can handle multi-level teaching ensuring that each child has the freedom to progress at their own pace. As opposed to the mainstream classrooms, the teachers in our groups do not stand at a rostrum and address the class. 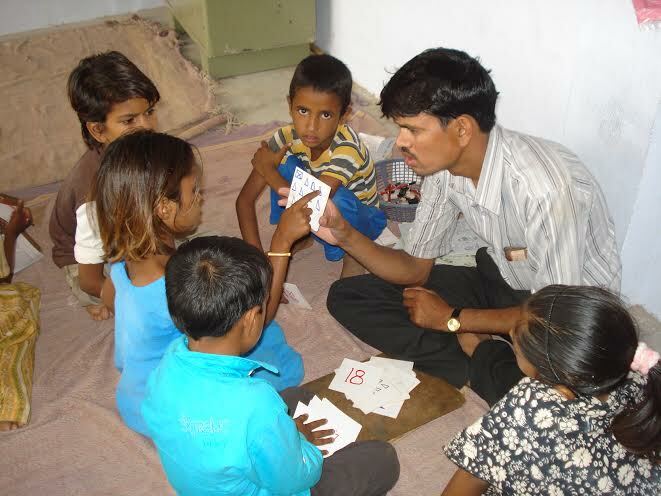 Here, the teacher moves around in the class and each and every child is given individual attention. For making such an alternative approach toward education successful, it is necessary that continuous evaluation of each and every child’s progress is made. Consequently, a child’s progress is assessed based on continuous and comprehensive academic evaluation and not on examinations as is the case with the mainstream schools. Conscious and continuous efforts are made to ensure that there are no differences in our academic principles and their implementations. The teacher training programs might be conceptualized in two different ways. A basic approach could consist of training the teachers in terms of the activities to be done with the children, regarding the use of text books and briefing them about the hurdles that they might face while teaching and consecutively ticking them all off. Behind such an approach lies the conviction that every child is identical to the other in terms of their level of understanding, difficulty level, and interests. Hence, it is assumed that one can easily foretell the difficulties that the children might face and know their solutions and they would be applicable to all the children. Another way of approaching would be that a teacher tries to get an in-depth understanding of the subject and his work. And s/he is equipped and able enough to know the reasons behind the difficulties faced and has the capability to come up with adequate solutions. The theory behind this approach is, in fact, very logical. 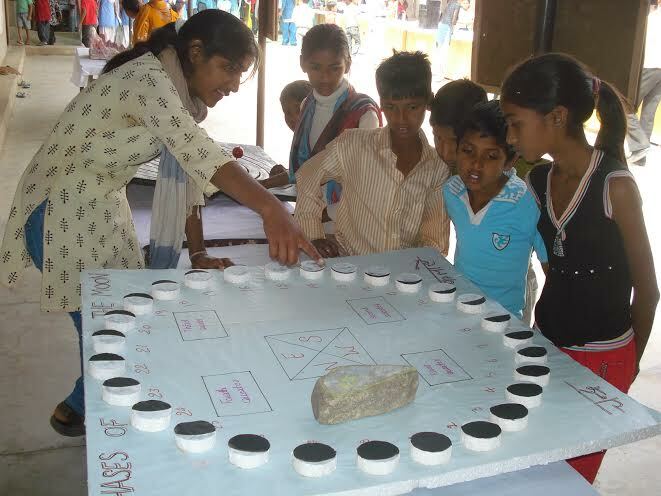 This approach believes every child has different interests and experiences in life and, hence, the learning pace of each child is unique. These two approaches to teacher education suggest that a teacher might face different types of difficulties while working with the children. The former approach is limited merely to teaching methods, while the latter focuses on the ability to find and form new and innovative methods of teaching, which can only be attained through a comprehensive understanding of education. It is the latter approach that Digantar believes in. Digantar believes that a teacher’s mind must encounter a constant flow of new ideas. For this reason, it is imperative that there is a constant exchange of ideas, space for discussions, and eagerness to know more through reading different texts or studying various academic works. Hence, a number of activities, group-work, dialogues, and discussions based on reading texts are important aspects of the teacher training. In the four-month long residential training, the teachers are trained in four phases. Since the training is a residential one, regular evening sessions also take place. The first phase emphasizes on understanding education, identifying the need for education, perceiving the process of learning, understanding human beings, the society, knowledge, and conceiving the principles of values. The second phase focuses on understanding what all is to be taught to the children, how, and why. 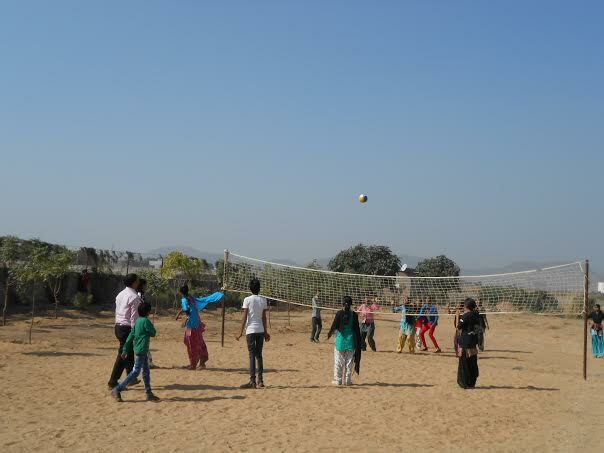 The third phase deals with the trainees directly teaching the children and soaking in the experience. The fourth, or the final phase, consists of sharing the experiences/ideas and creating an outline of a school imparting quality education. Through this training, we strive towards developing teachers who are able, responsible, and intellectually accomplished. Teachers, who can impart not only education but wisdom, who can establish quality schools and can actively participate and aid in a child’s journey to attain education. Every step that leads towards an unconventional path is met with impediments and speculations. It is easy to gain support for an established idea but not for an alternative one. A school that debunks the idea of classrooms and has groups where every child is at a different level is not something that would go down well with parents, whose idea of a school is one where the teacher writes on the blackboard and every child in the classroom is at the same level. 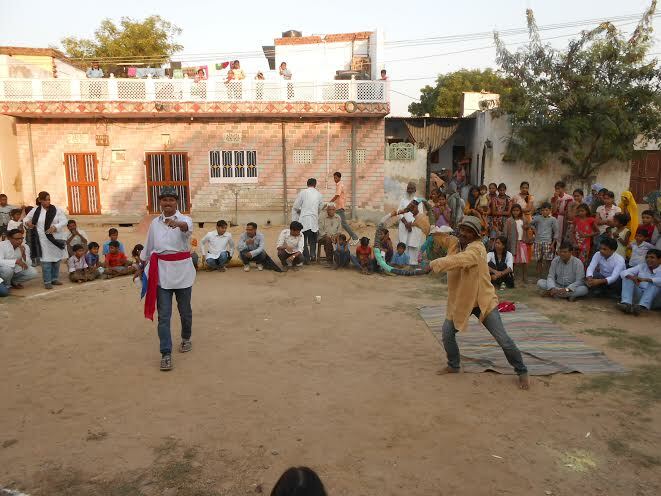 It took time to convince the parents and assure them that education can be imparted in alternative ways as well. Even then, initially mostly boys enrolled in the school and the girls stayed behind at their homes looking after their siblings or engaged in the household chores. Gradually, the girls also started coming to the school. It was possible only after relentless insistence and cajoling their parents to allow them to study. Some spirited girls themselves came to the school and got their names enrolled; an act that showcased how determined they were to study. Since Digantar schools in alternative education began at the primary level, work on primary education in the rural areas took place for about 8-9 years. While working at this level, we noticed a pattern that the guardians would send the boys for further education to other schools but the girls would not be allowed to go. As a result, after completing their primary education, most of the girls in the area could not study further. To overcome this problem, Digantar started alternative education for girls at the upper primary level in 1997-98. For the first time, Digantar girls appeared in the eighth standard examination from a government school as private students in 2000-1. Since there were no schools for girls in their locality, after completing their upper primary education, most of the girls could not continue their education, despite their keenness. 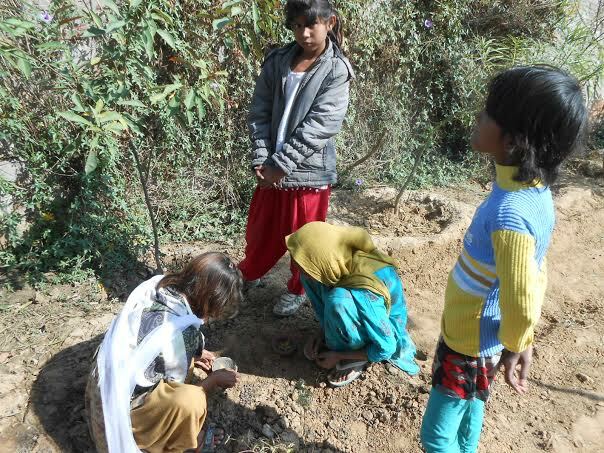 Due to security reasons and lack of adequate mode of transportation, the parents were hesitant to send their daughters to the secondary school located about 13 kilometers away. 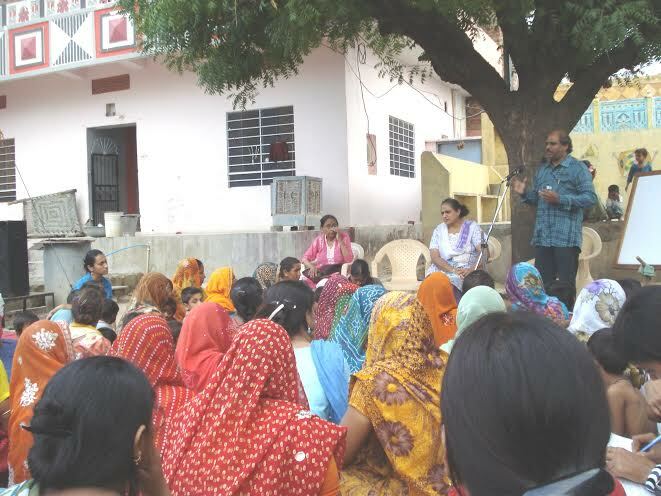 The community members, the guardians, and the girls themselves conducted meetings with Digantar and urged to make arrangements for secondary and senior secondary education for girls. As a result of the efforts made by the community and Digantar, work on secondary and senior secondary education for girls started in 2006. It was decided that they would be appearing in NIOS (National Institute of Open School) examination as private students. 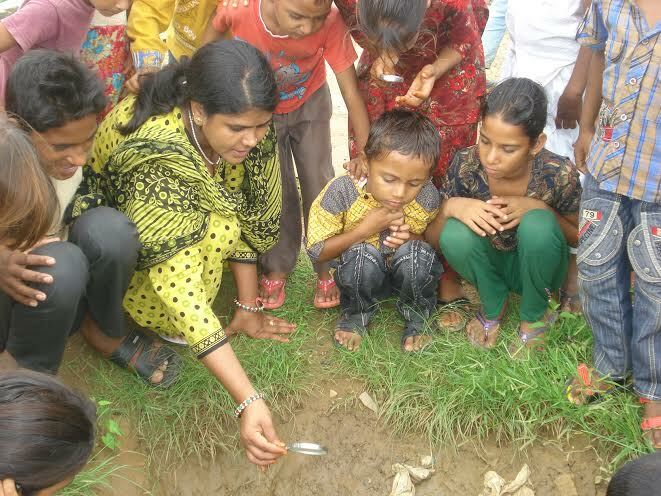 This unit for girl’s education in the rural area is functioning successfully since 2006. Funding has been a problem that crops up every now and then. Since we seldom receive long-term funding assurances, we have been battling hard to sustain ourselves. Despite all the hurdles and problems, we are determined to move forward and continue doing what we do the best. WE EDUCATE. We make sure that learning is a process that a child goes through happily and we work hard to implement our belief in providing quality education to every child. We work towards education for justice and equality. Ms. Riti Das Dhankar is a freelance writer. She is doing her PhD in Psychology from Jaipur, where she completed her master’s degree in Clinical Psychology. She obtained her initial primary education at Digantar Vidyalay.